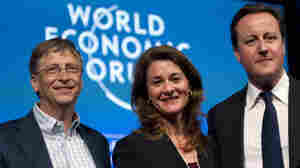 January 31, 2011  Philanthropist Bill Gates says the time is now for the world to redouble efforts to eliminate polio by funding efforts to vaccinate vulnerable people against the disease. An international initiative to wipe out the disease faces a $720 million budget shortfall. January 21, 2011  FDA says there have been 42 cases of febrile seizures in young children after Fluzone shots as of Dec. 13. The findings are preliminary, and federal officials are looking to see if the vaccine is to blame or something else is going on. January 19, 2011  British researchers have inserted a gene into chickens that blocks flu viruses from replicating and spreading to humans. 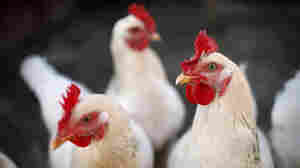 But it could take years before these genetically modified birds end up on your plate. January 12, 2011  A second article in a series on medical research that fanned fears about a link between autism and measles vaccine lays out evidence that business interests influenced the work. January 10, 2011  A study that measured antibodies and the disease history of more than 200 kids found that two doses of vaccine were 98 percent effective in preventing chickenpox compared with 86 percent for a single dose. January 6, 2011  A report in the British Medical Journal makes the case that the infamous study linking autism and vaccines wasn't just wrong — it was fraudulent. Key facts, the report says, were altered to support the autism link. December 7, 2010  A vaccine against cervical cancer can also prevent genital warts in males. But that doesn't mean insurers are obligated to pay for boys and men to get vaccinated. 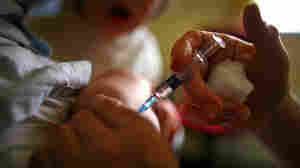 December 6, 2010  A cheap new vaccine against bacterial meningitis is the first ever designed for use in Africa. Before now, vaccines and most other medicines have been developed for wealthy markets and retrofitted, sometimes, for poorer nations. December 2, 2010  Data just out from the Centers for Disease Control and Prevention show that half of pregnant women got flu shots last flu season, despite worries about how the swine flu immunization might affect them and their babies. November 24, 2010  We are a nation of procrastinators when it comes to getting a flu shot. That leaves us vulnerable to all kinds of respiratory illnesses, thanks to togetherness at Thanksgiving and other holiday times. November 13, 2010  Drug giant Sanofi-Aventis is moving ahead with a big clinical test of a vaccine that could protect people against the four main types of dengue fever. The results, if positive, could pave the way for regulatory approval in a few years. October 28, 2010  Vaccines can give up to 90 percent protection against cholera – at least in the short term. 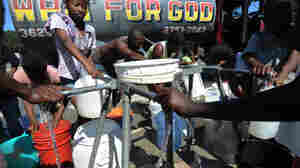 But don't expect them to get widespread use in Haiti to contain the current cholera epidemic. October 13, 2010  The vaccination rate for measles, mumps and rubella fell about 3 percentage points for 2-year-olds in 2009. 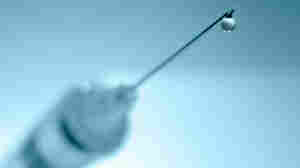 Insurers said paranoia about side effects are to blame for the decline. Still, more than 90 percent of the children got MMR shots. 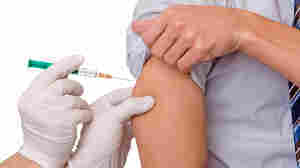 October 7, 2010  Most American know they should get a flu shot but many aren't planning on it. Some think they can avoid getting sick without vaccination. Others worry about side effects. Public health authorities advise people to drop the excuses and get protected. July 30, 2010  Flu season is in full swing in the Southern Hemisphere, with H1N1 the predominant strain in Australia and New Zealand. No one's predicting what our season will look like just yet.